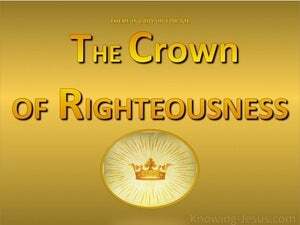 In the 2nd book of Timothy chapter 4 you find the last recorded instructions in the Bible, from Paul to the church, and as such should be considered of great significance. Paul was Timothy’s spiritual adviser and here we find him solemnly charging Timothy in the most sombre terms to contend earnestly for the faith – to boldly preach the Word of God – to teach the gospel of grace that was given directly to Paul from the Lord Jesus Christ, Himself. 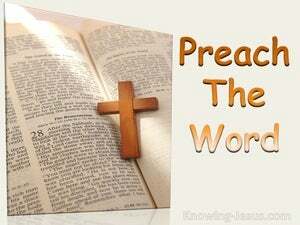 We are exhorted to preach or expound the Word of God. We are instructed to preach or proclaim the Truth of Scripture – for His Word is life and light – it is hope and it is peace… for we preach Christ crucified. 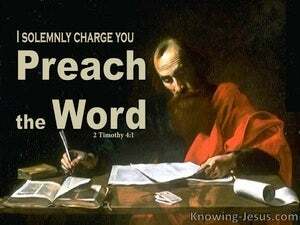 To preach the word is to preach the truth and to preach the truth of God’s word is to preach Christ - with no compromise. 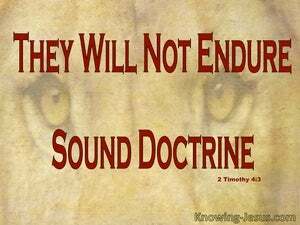 Second Timothy is the last of Paul's epistles. He was a prisoner in Rome, and knew that his life was nearing its end. Paul also knew that after his departure, grievous wolves, would arise in the body of Christ, and would not spare the little flock of God. Paul knew that his life was soon to end, and that this second letter to Timothy, would be the final epistle he was to pen before His death. As he sat in his dark dungeon, waiting for his execution, Paul wanted to impress on Timothy, the important responsibility that now lay on his shoulder – and those other faithful servants of God. 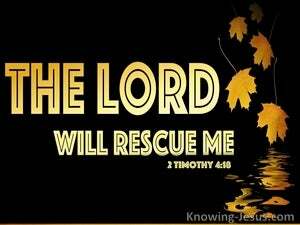 Second Timothy was the last epistle written by that great apostle to the gentiles, shortly before his impending death. Paul wrote his letter when incarcerated in a Roman prison, and knew, without a shadow of a doubt, that he was already being poured out as a sacrificial offering to the Lord. Indeed, in the previous verse we read: For I am already being poured out as a drink offering, and the time of my departure has come. As soon as we are saved by grace through faith, we are called to live by grace through faith. 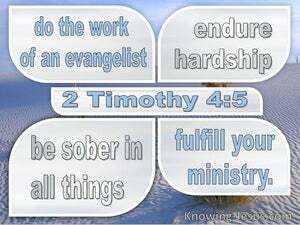 And at the end of his final epistle.. before his death, Paul reminds Timothy to keep running with perseverance the Christian race set before him, to preach the God-breathed Word and to stand fast and patiently endure, by grace through faith - as he waits expectantly for the return of the Lord. These sad and somber words were written by Paul to Timothy, very close to the end of his ministry, when imprisoned in Rome. Demas was a fellow-believer and one of Paul's fellow-workers, and yet Demas later deserted the apostle because he loved this present world more than his life in Christ. How sad. 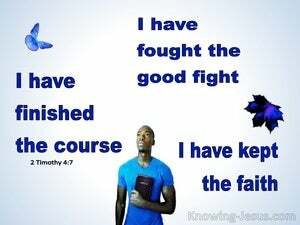 The second book of Timothy was written near the end of Paul's life as he faced certain execution at the hands of Rome. He had received increasing opposition to his ministry from legalists and other enemies of the gospel, who vigorously opposed his teaching. And he sadly reported that all the Christians in Asia had forsaken him, including some of his closest friends.